I am a student at West Albany High School, and I would just like to point out that for one not everything is racist. I come a mixed family, and on both sides I have had family arrested before. Both white and black, and every time one of my family members has been arrested they have never said it was because of race profiling. They say it was because they chose to do something that could have gotten into trouble with the law. I would also like to point out that blowing up racism on the media does not help the fact that people are shooting at cops and disliking cops because they assume that every white cop is racist. My mom used to be a cop, so I personally have had time to meet cops and know them quite well. Most Americans don’t normally blow up on cops for hate crimes and what not. In all honesty, isn’t it racist to think that almost every white person is racist? Blowing up small things on media makes the problem bigger. “ As of Sunday, 1,502 people have been shot and killed by on-duty police officers since Jan. 1, 2015. Of them, 732 were white, and 381 were black (and 382 were of another or unknown race)” ( The Washington Post News,2015). The problem of blacks being shot “all the time” is very inconclusive; it is more opinion based than an actual fact. The fact is that it is definitely easy to make a big deal of things on media. Have you ever heard of yellow journalism? No? Well, let me explain what it is. Yellow journalism is a way for media and press to get attention on a certain topic by exaggerating and fabricating stories to appeal to a cerain cause. (Yellow journalism, or the yellow press, is a type of journalism that presents little or no legitimate well-researched news and instead uses eye-catching headlines to sell more newspapers. Techniques may include exaggerations of news events, scandal-mongering, or sensationalism. By extension, the term yellow journalism is used today as a pejorative to decry any journalism that treats news in an unprofessional or unethical fashion) (Wikipedia, 2016). Today this style of journalism is used quite more often than we realize. Take for an example the elections this year; we have seen media go against both electoral candidates. Trump's sexism scandal, Hillary Clinton’s emails. These examples are not to far off from the yellow journalism we are seeing to day over racism. I notice that both candidates are using the media to throw in their ideology on the topic. That is because they know that if they blow this up on the media, people will be sucked into the vast vacuum that is the news and so forth and vote for whoever is addressing the topic. 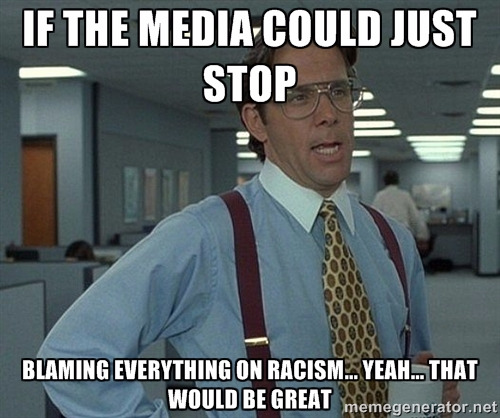 So to our next dear president, please address the problem that racism is not as big as a problem as it seems. Our media needs to change their views on what to exaggerate and what not to exaggerate. Sometimes it is okay to address racism, but in this case we happen not to be addressing the elephant in the room. However, if we keep blowing it up into a bigger problem than it is, it will become that big. As of now we are not fixing the problem, we are just making it bigger. Marijuana does more than make people happy, hungry and sleepy. College costs in America need to be reduced. Abortion isn't the safe way of getting rid of a child and I believe that abortion should be illegal. The organization Black Lives Matter has too much power to destroy lives based on opinions and not evidence. Racism in america has to stop. Abortion is wrong and it should be illegal. There is a huge issue surrounding police brutality and would like to know what the future president will do to help stop this racial discrimination. racism is probably something that will never end, but it can be stopped.